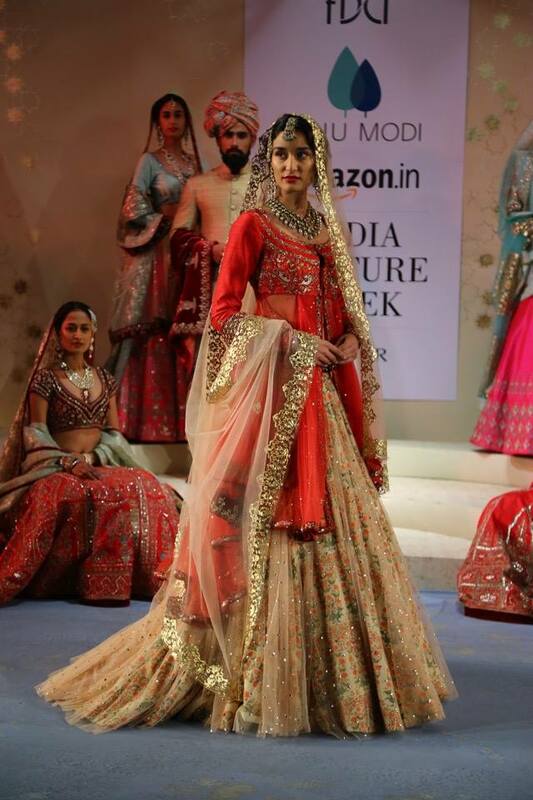 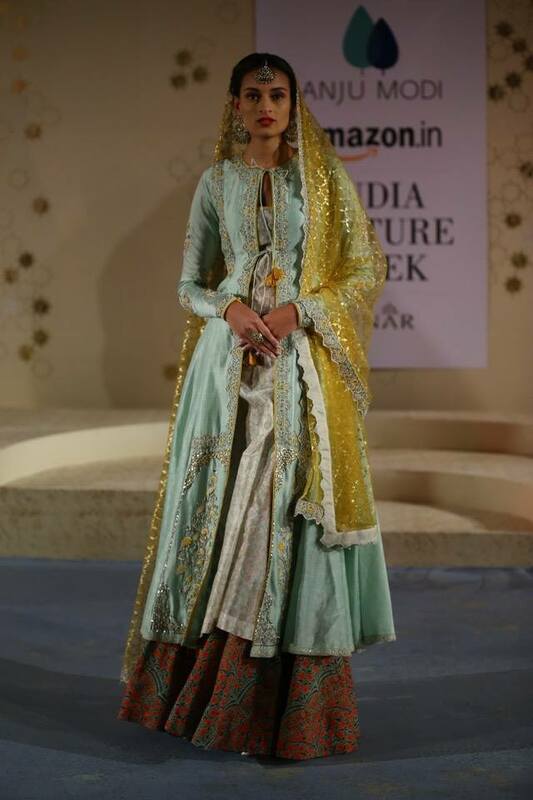 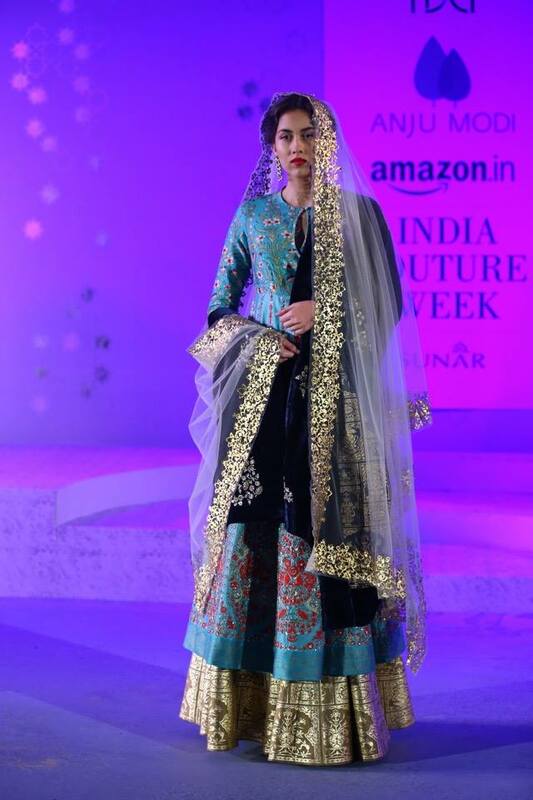 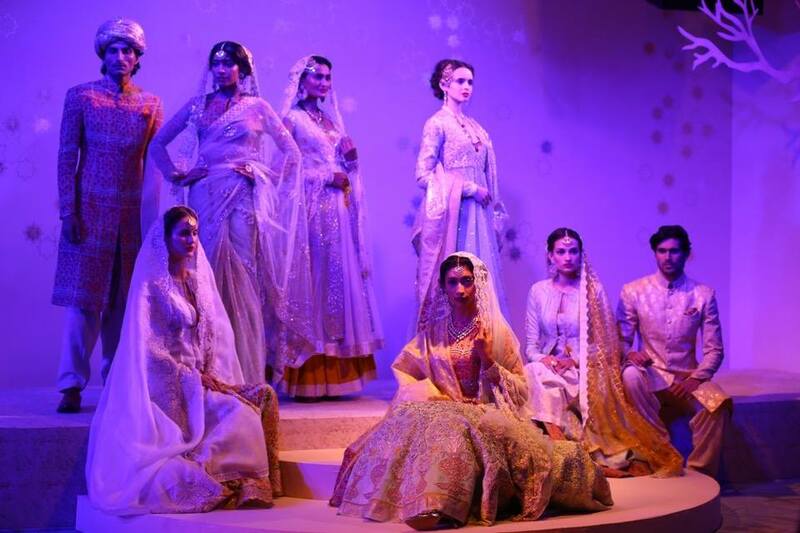 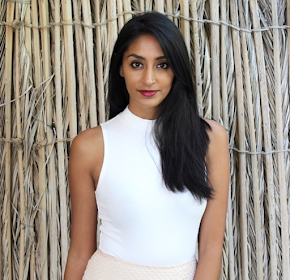 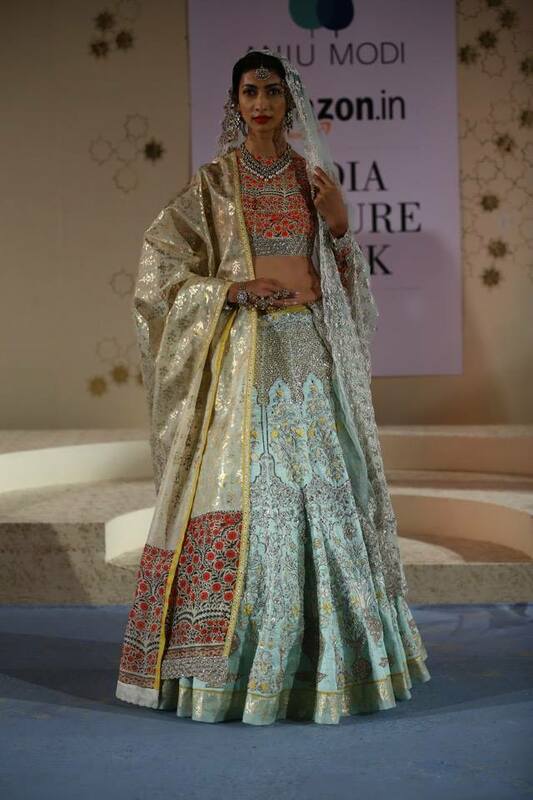 Taking on a more traditional feel, Anju Modi's collection was inspired by Persian folklore royalty. 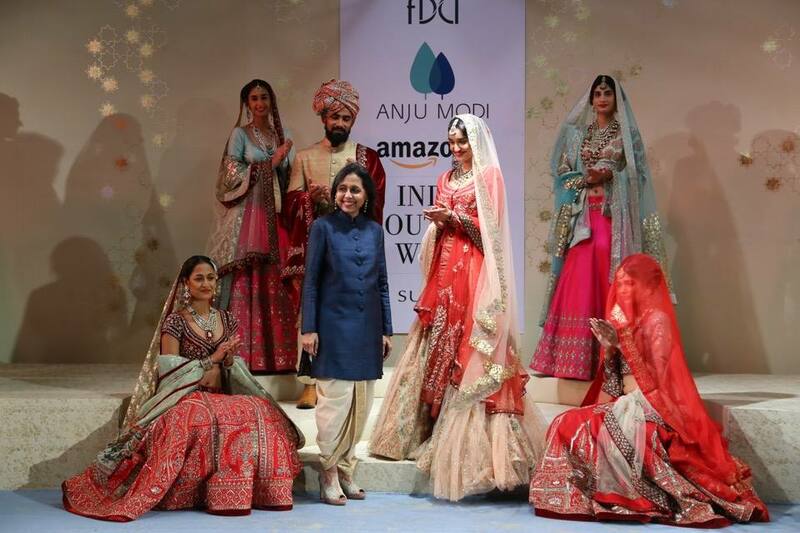 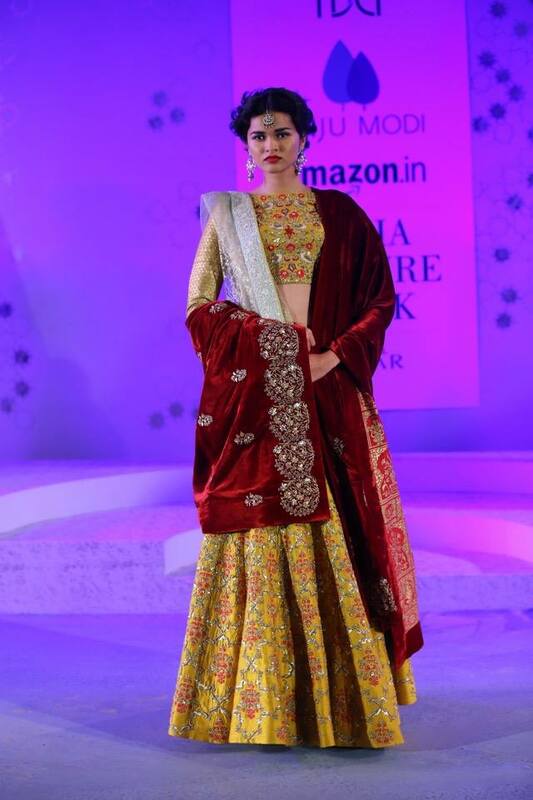 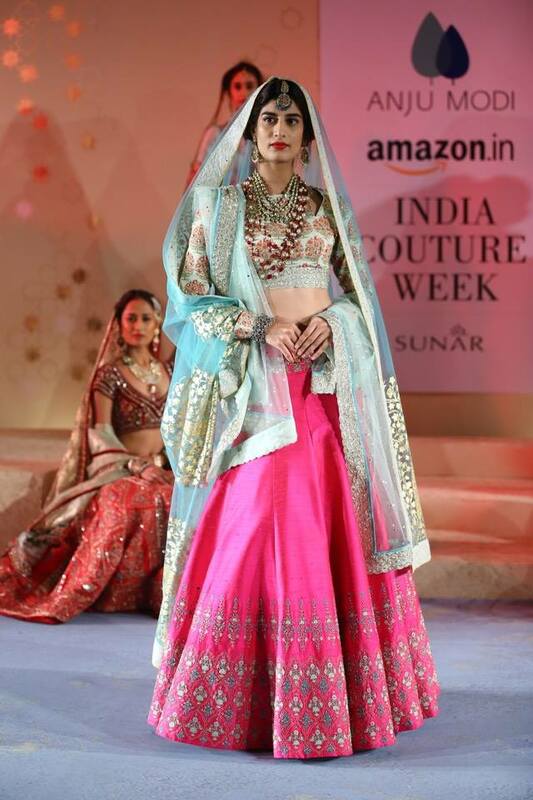 By using rich fabrics and contrasting as well as complimentary colours, the designer was able to create a stunning collection perfect for bridal wear. 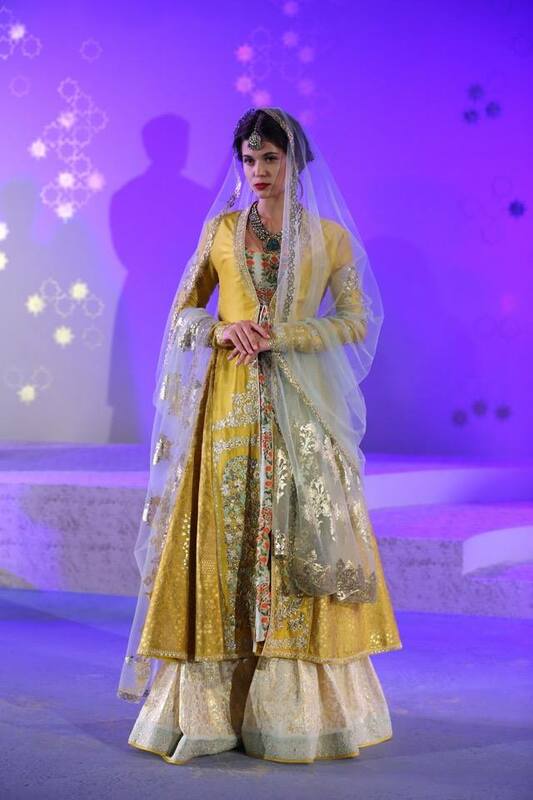 I do especially love the combination of yellow and teal with beige, it's perfect for the sister of the bride/groom and would look amazing at a day time wedding.